I just wanted to comment on how well made the Madawaska mittens are and that the choice of designs are unending. I purchased 10 pair in 2011 and gave them as Christmas gifts. All recipients were thrilled with them. 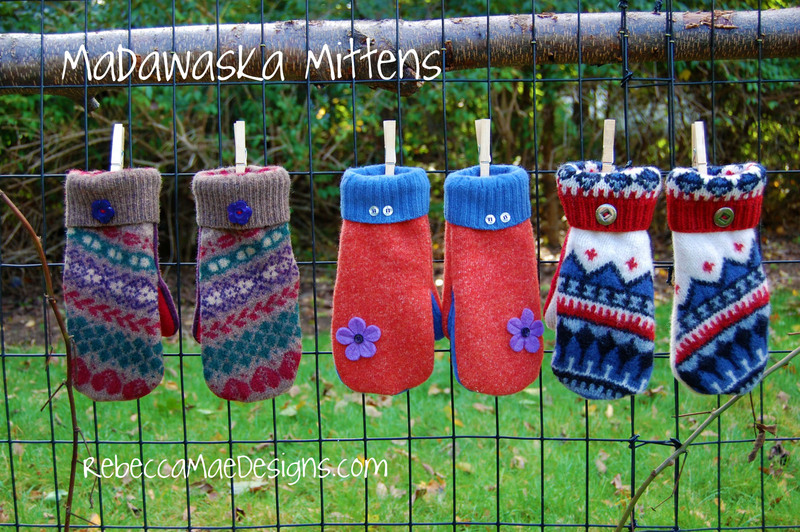 They commented and said they have never had mittens as warm as the Madawaska mittens. Everyone needs to own a pair of these mittens, so for those of you who have not yet purchased a pair, you must try them. You will love them! I bought your Madawaska mittens pattern yesterday and made them last night. It took me about 45 mins of sewing to completion! I love that they are lined. Do you have ideas on how to enlarge for a large woman/smaller man hands? My husband is craving a pair after he saw these first ones I’d made. 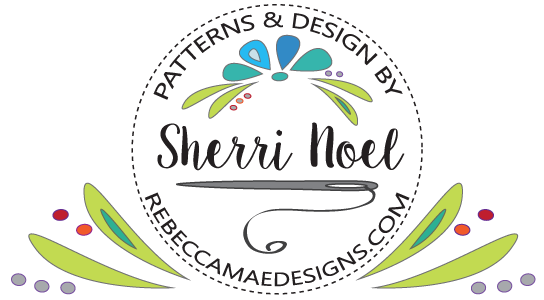 Hi Lisa ~ It may be trial and error for size but to make them wider I would draw a line down the center of each pattern piece, cut in half and add 1/4″ to 1/2″ to center of each pattern piece depending on how much larger/wider you would like them. Add double that amount to cuff length as well. Hope this helps! Dear Sherri – I had the same question as above. I purchased the mitten pattern and instructions from Etsy and have made 8 pairs. I figured out how to make them smaller and was wondering how to make them larger because my husband, who is 200 lbs and 6’1″ also wants a pair. I just enlarged the pattern on my computer 150% before printing. Will that work? It basically enlarges all parts of the pattern equally. I see you’re recommending a 2:1 increase in length over width. I’m glad your making good use of your pattern! I typically add more to the width than the length. (length being from fingertips to wrist) The comment prior to yours was looking for just a little larger size. In that case I would only add to the width (as noted) since the length is generous, and there shouldn’t be much difference in the thumbs. For your husband it does sound like you might want to add overall if his hands are both wide and long, where you would also need to accommodate for longer fingers and thumb. 150% sounds aggressive to me tho… maybe start with 125% and make just one fleece lining as a sample. There are just separate listings, but all for women. Thanks for ordering the templates, they make it so much easier… and faster! Bought the template and pattern. LOVE IT! Hint: I used a small rotary cutter for cutting my fabric/sweater pieces around my template and found the template would slide out of place when trying to holding and cut; Took a piece of masking tape rolled it to make one of those double stick loops, put that on one side of the template and pressed it against my fabric piece. No more sliding! Easy peel, no sticky residue and easily held things in place – still had to be careful, it is a rotary cutter! I am in Zanesville Ohio, sending mittens to Chicago Illinois for gifts. How fast we cover the world with hands of love and hugs! I get most of my wool from second hand shops or friends that know I use them for making mittens! Mittens look lovely. I am going to but the templates & make some. I am visiting from Stratford, Prince Edward Island, Canada. We are on the East Coast & are Canada’s smallest Province. Love your site. Keep the good things coming.